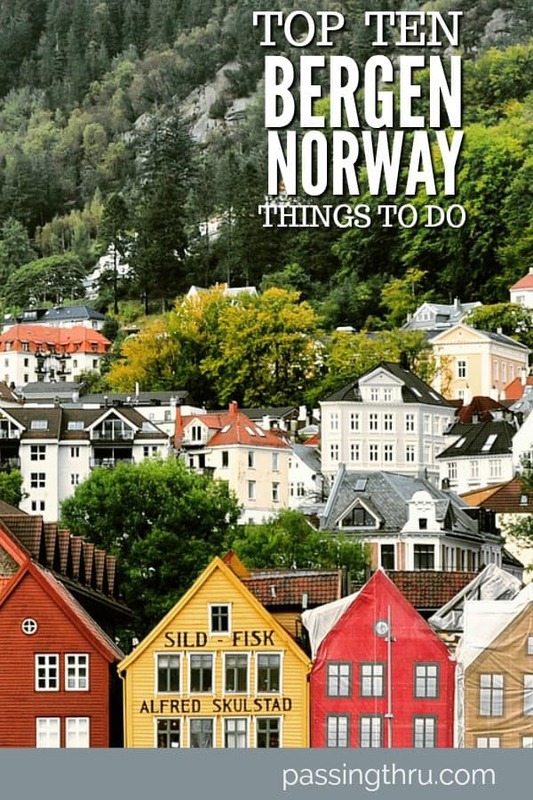 Fun things to do in Bergen Norway abound! Read on for recommendations on where to stay, the best day trips, restaurants and activities to make your visit to Bergen unforgettable! Are you looking for things to do in Bergen (Norway)? Our first timers guide comes courtesy of guest author, Pierre from Anything Under Our Stars. 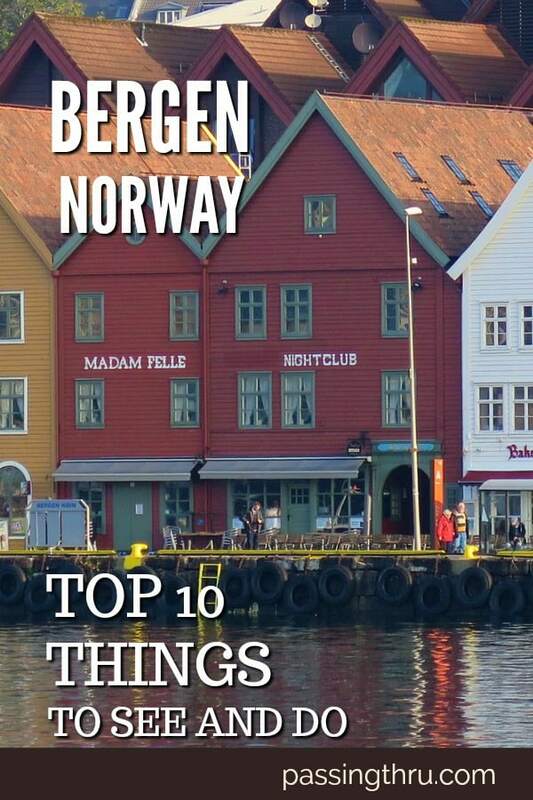 He’s included recommendations on where to stay in Bergen Norway and the best day trips from Bergen, and he even recommends restaurants in Bergen Norway for you to enjoy. Take in the magnificent mountains, explore the beautiful ancient villages or grab a trip up the Seven Mountains in the city of Bergen. After a day of touring around this wonderful city, relax and enjoy a wonderful meal at one of the many seafood restaurants. And then return to your hotel for a wonderful night’s rest to gear up for the next day. Just lots of activities to do every day. Everything you can expect here in Bergen. 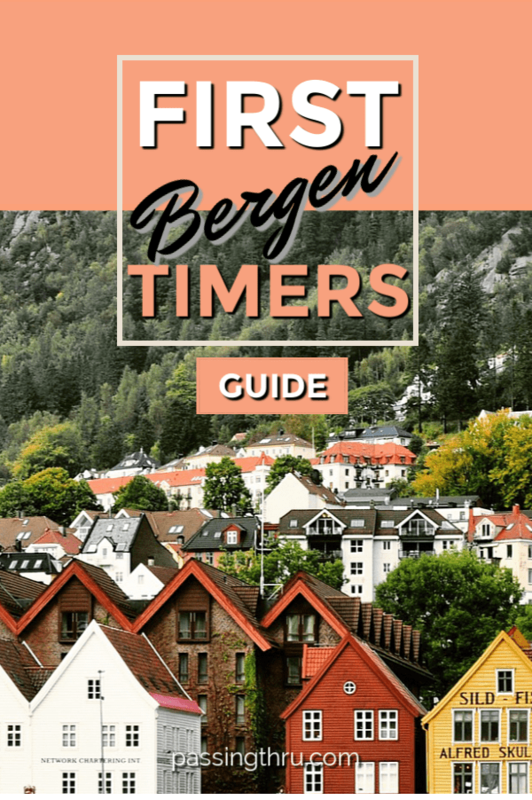 So if it’s your first time visiting, here’s an in-depth guide you should read about Bergen. Bergen is the second-largest city in Norway and is surrounded by fjords and beautiful mountains. 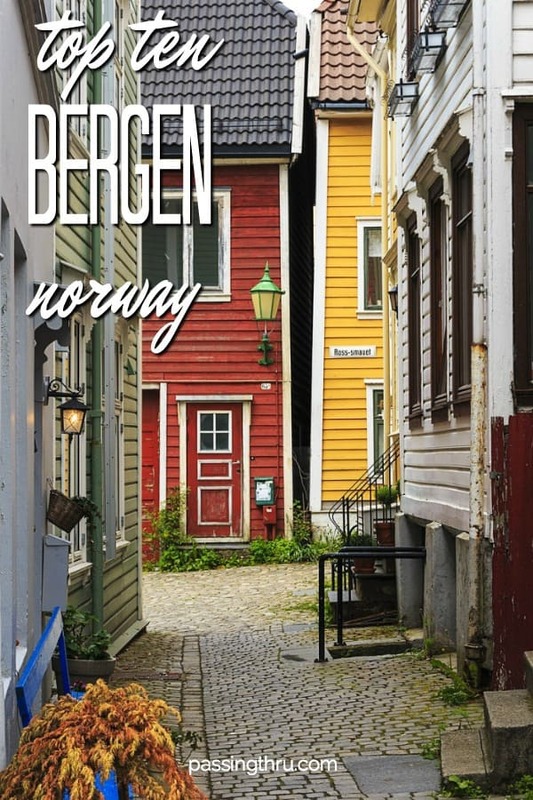 Bergen sits on the peninsula which stretches out from the mainland, covering 180 sq mi (465 sq km). First founded in 1070 AD by the king of Norway, Olav Kyree, it is known as “The city between the seven mountains”. Bergen was once the capital of Norway in the 13th-century but was then replaced by Oslo in 1299. During the Danish occupation of Bergen in the 14th century, Bergen emerged as the center of trade for fish products for the entire country. Dried cod was at one point one of the most commonly traded exports from the northern areas of Norway. It was exported to the various countries in Europe in the times of fasting. Bergen has experienced many fires throughout the ages and it was believed to be caused by the wooden houses. Nevertheless, the city was rebuilt incorporating the same wooden houses, ensuring the preservation of the original structures. The merchants back in the day built their homes and wharves at the harbor where they dealt with the fishermen. The harbor where they lived is called Bryggen and is on UNESCO’s list as a World Heritage Site. The Bryggen Hanseatic Wharf is centuries-old and played a critical part in the trading practices of Bergen dating from the 14th-century to the 16th-century. Bryggen Waterfront is considered the most popular building in all of Bergen. 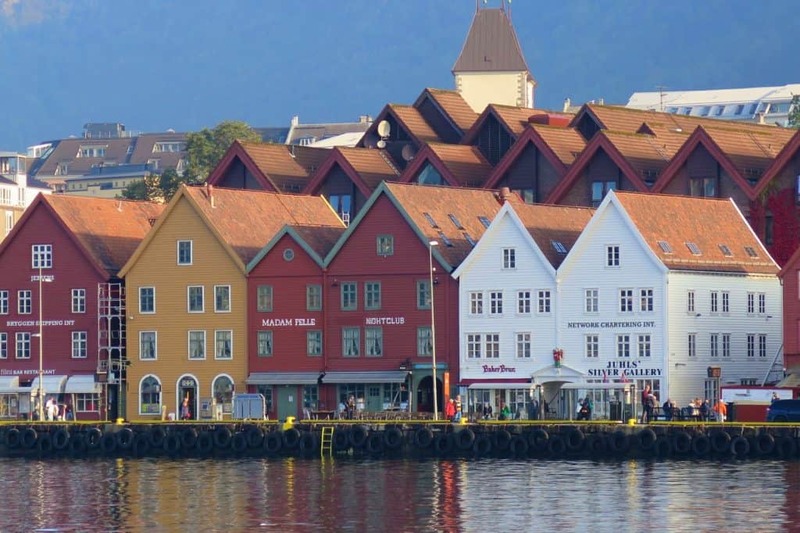 Enjoy the colorful wood and stone homes that run along Bergen’s old Hanseatic Wharf. Locals and tourists alike visit this area of Bergen because the houses are so unique and beautiful. Though it may be the most famous architecture, there are plenty of other places to visit and explore their unique buildings. 24-Hour Hop-On Hop-Off Sightseeing Bus Tour – A thirteen stop circular route allows you the most flexibility when getting to know Bergen. Orient yourself to the city’s layout and spend time at the sites and attractions that interest you most. Click here for more information. Bergen: Two Hour Segway Tour – An easy glide through Bergen with experienced guide takes you to important locations in the city center and breathtaking viewpoints. Click here for more information. 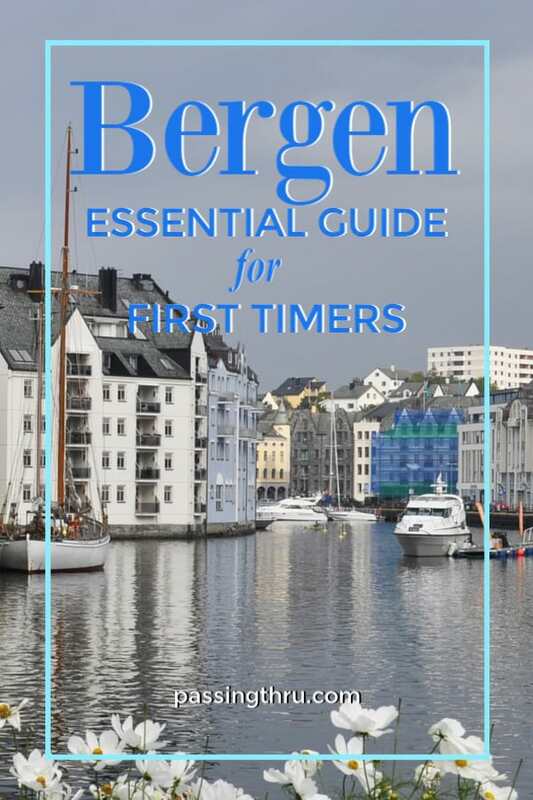 Bergen: Private Tour with a Local – A friendly resident helps you explore the best places to eat, drink and shop, along with tips and hints tailored to your interests and length of stay. Click here for more information. This building has often been referred to as a castle but it’s actually the royal residence for the King when he is in town. If you pass by and the flag is at full-mast, that means the royal family is there. Click here for more information on Gamlehaugen. This ornate medieval church was first built in 1150 and rebuilt to match the exact original design after the fire in 1992. 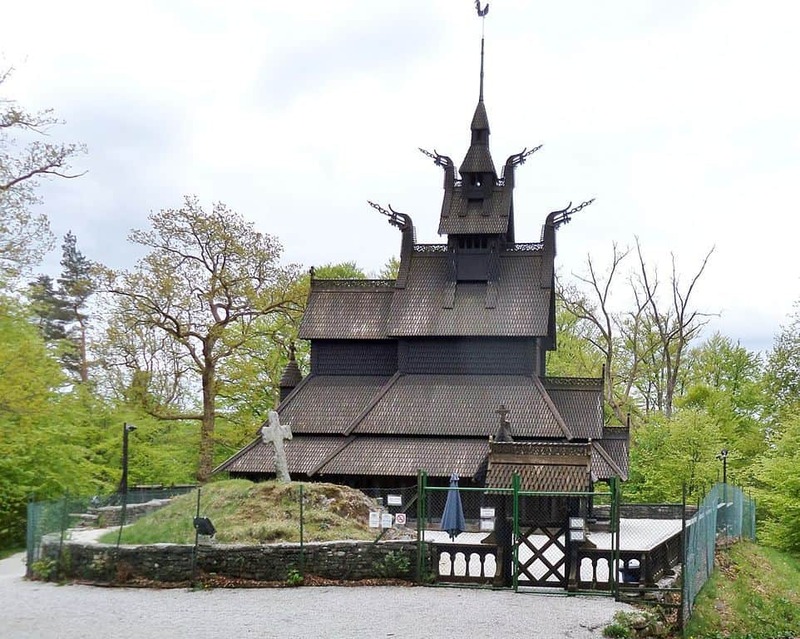 This church is made completely of wood and is one of the very few remaining stave churches throughout Europe. Click here for more information on Fantoft Stavkirke. 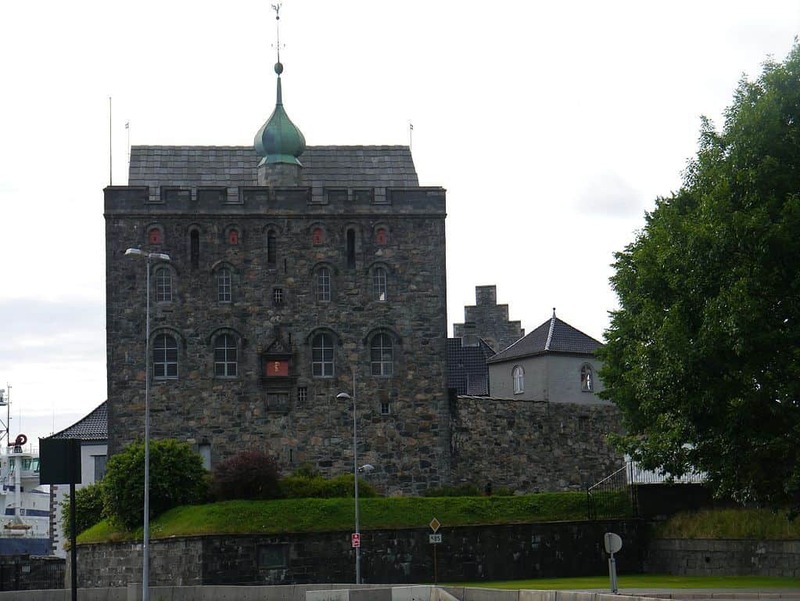 This castle is one of the oldest, best-preserved fortresses made of stone in Norway. It dates back to the 1240s and is well-worth your attention to stop by, explore, and enjoy its grandeur. Click here for more information on Bergenhus. The eponymous example of power over the Hanseatic Merchants, this Renaissance-era tower dates back to 1271. Climb to the roof for magnificent views of the city. Click here for more information on the Rosenkrantz Tower. 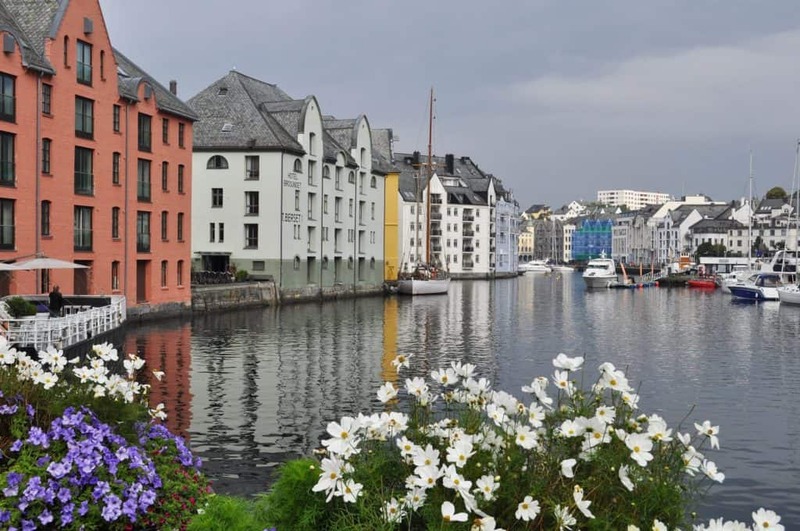 Bergen, also known as “The City of Culture”, is a home to one of the world’s oldest symphony orchestras. This is where the country’s first national theatre was established. Bergen is also famous for producing many popular artists including the composer Edward Grieg. His home is now open to the public and his Edward Grieg Museum Troldhaugen offers many concerts throughout the year. The city is jam-packed with concerts all year round. 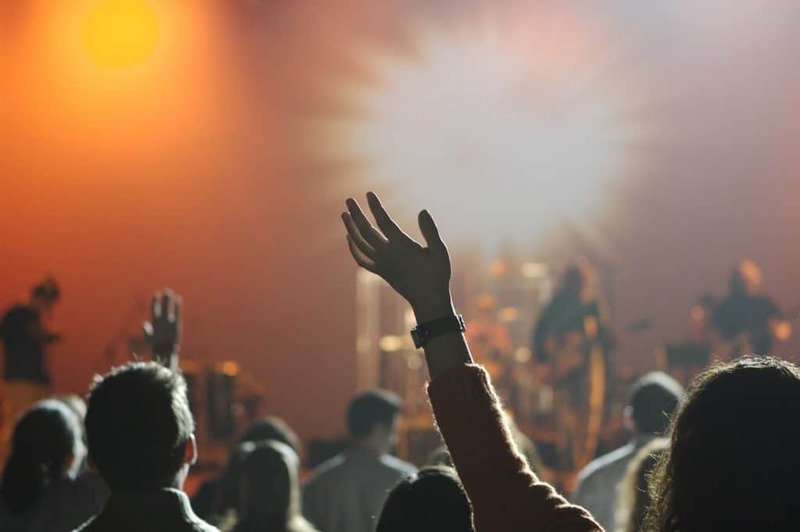 An event to look out for is the Bergen International Festival which is 2 non-stop weeks of concerts spread out through the whole city. Bergen has approximately 40 hotels in the city center area and other areas. You can choose from small to luxury hotels that come with many excellent facilities. Surrounded by the beautiful scenery, hotels in the city center are the perfect starting spot for exploring this wonderful city or taking in a relaxing day trip. Radisson Blu Royal Hotel – The best way to start sightseeing in Bergen is staying at the heart of Bryggen. Radisson Blu Royal couldn’t be any more central. The Bryggen-inspired architecture has been a host to conferences since 1163. Visitors love the hearty breakfast buffet. Click here to read reviews and check prices. Clarion Collection Hotel Havnekontoret – Another one of the top hotels to stay is the Clarion Collection Hotel Havnekontoret. The hotel opened its doors in 2008 and made a commitment since then to provide the luxury and comfort the guests deserve. Inclusive of the stay is breakfast buffet, light dinner, and pancakes/ waffles for snacks in the afternoon. Click here to read reviews and check prices. The Hanseatic Hotel – If you’re interested in an atmospheric experience, the Hanseatic Hotel is a charming option. Located in a vintage building, its warm and cozy traditional decor will seem like traveling back in time. Click here to read reviews and check prices. Click here to see the TripAdvisor picks for the ten best hotels in Bergen Norway. Restaurant Cornelius – To visit this establishment, you will need to take a boat over to the island of Holmen. Indulge in seafood that is unmatched by no other with views over the fjords and the sea . Visiting this restaurant is an experience you will never forget! Click here to read reviews and see photos. Colonialen – Colonial has been making waves in the world of gastronomy for its traditional and creative seafood cuisine for 11 years now. Go all in with their large tasting menu and experience flavors you’ll never imagine. Click here to read reviews and see photos. Enhjøringen – This gorgeous, 18th-century seafood restaurant is located in Bryggen and surrounded by their famous wood buildings with painted walls and sloped roofs. This restaurant is situated inside one of the unique residences of Bergen. Feel the vibe of the early middle ages, while you try their famous Whale Carpaccio. Click here to read reviews and see photos. 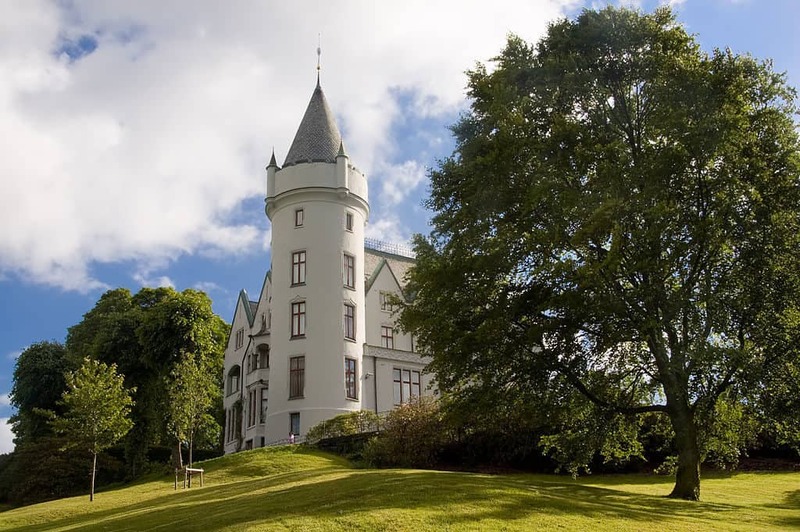 One of the best day trips from Bergen you can take is to Rosendal. Explore the gorgeous village and then stop by the Folgefonn Center or you can take off on a hike to enjoy the beautiful surroundings. 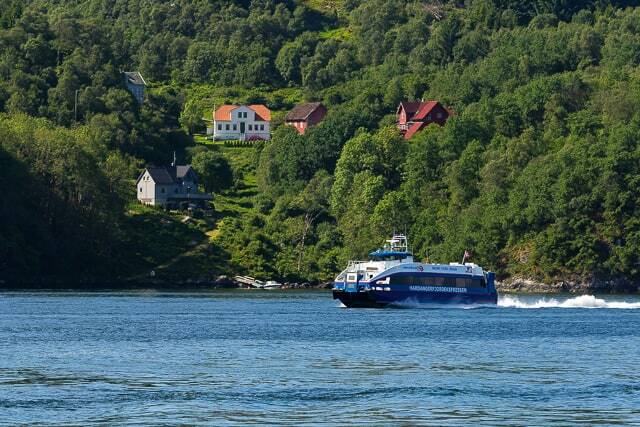 Boat cruises from Bergen are year round and it takes approximately 2 hours to get to Rosendal. You can enjoy 3.5 hours strolling around the village, visit the center or just take a casual walk around its gorgeous scenery. 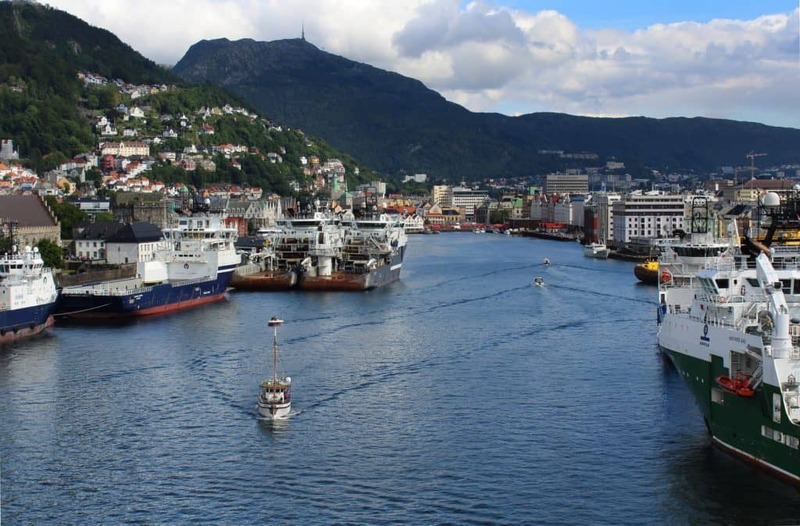 Click here for information on various fjord tours out of Bergen. The tour starts every day at 8 am out of Bergen, sailing express boat north along the coast and then head into Sognefjord on your way to Balestrand. Once arriving in Balestrand you will then change to a smaller boat that will bring you to Fjaerland. 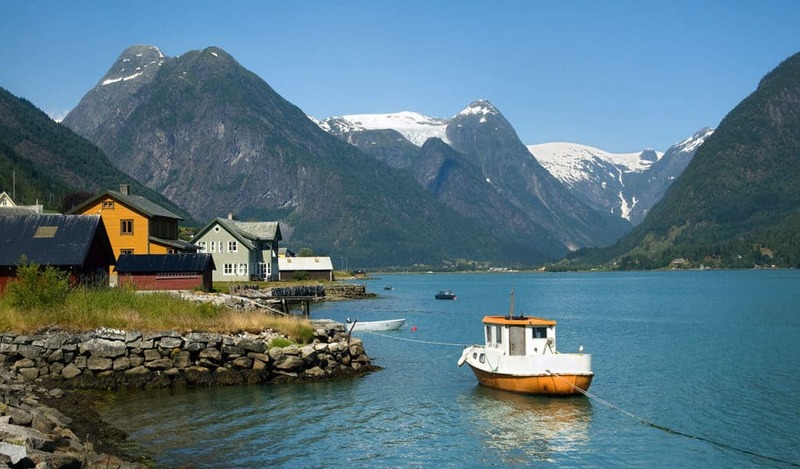 Note: Sognefjord is well known for its beautiful village and is a favorite spot for artists. Click here for more information. 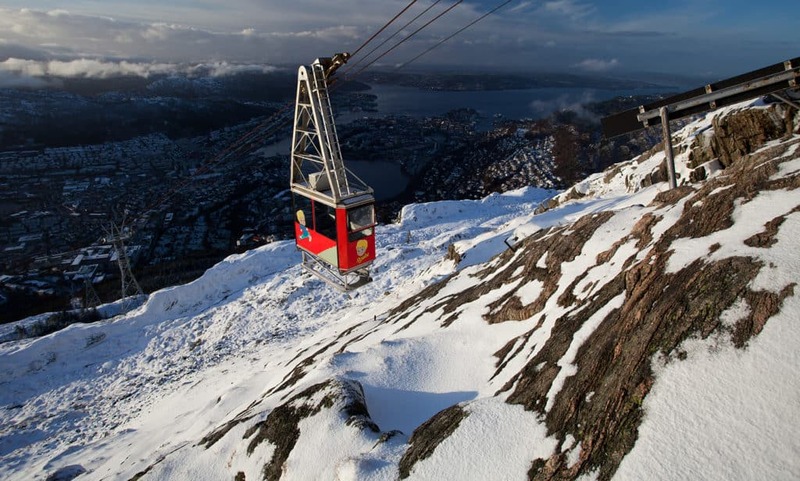 You can ride the cable car to Bergen’s Seven Mountains and the tour will bring you to the most breathtaking scenery of mountain terrain which is 643 metres above sea level. Once you arrive by the cable ride, you will soak in breathtaking views of Bergen areas including fjords, towering mountains, and beautiful islands. Ulriken Express offers a spectacular tour either by double-decker bus or the cable car. The entire trip takes approximately 2 hours. Click here for more information. When planning your next holiday, vacation, or backpacking trip, Norway should be on top of your list. Bergen, in particular, is a wonderful place to soak in both the old and the new. If seafood is a culinary delight to you, this is the place for you! Bergen has the very best seafood anywhere in the world! There are many day trip tours that will bring you to some of the most wonderful places along this seacoast city. Join boat trips, cable car rides to the mountains, or stroll around Bryggen. Visit Bergen and you’ll have the time of your life. Guest Author Pierre moved to Norway in 2014 .Since then his life has never been the same again. Health care worker by trade, adventurer by passion, blogger wherever he goes, Pierre writes about his travels and his life at Anything Under Our Stars. 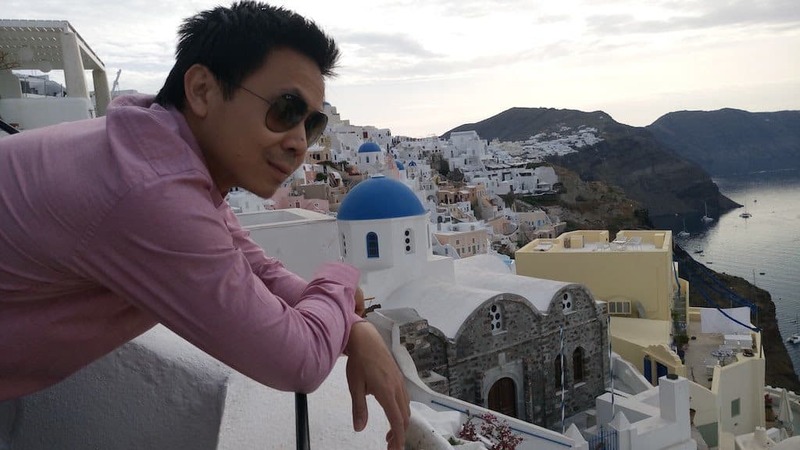 He is passionate about inspiring others to travel and discover the world to see new places and experience different cultures. Flying here, driving there, he is someone who never tires of the wonders of adventure, pushing his boundaries time and again in order to broaden his horizons and share what he finds with the world at large. Great information! My husband and I visited Bergen nearly 20 years ago and loved it. We did the Norway in a Nutshell tour from Oslo to Bergen and then stayed a few days in Bergen before heading back to Germany. We saw a lot in just a few days but I’d love to go back and see everything we missed! Thanks, Cate! My very first trip outside North America was to Norway and I feel the same way!